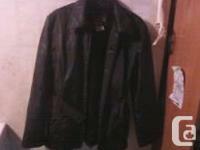 Brand name brand-new natural leather jacket available for sale. -Full unbalanced zip front with dual breeze button collar. 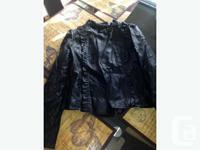 -2 front zip pockets at waistline; solitary zip pocket at upper body. -Quilted joint detailing at shoulders. -Double zip vents at back with fastening information. 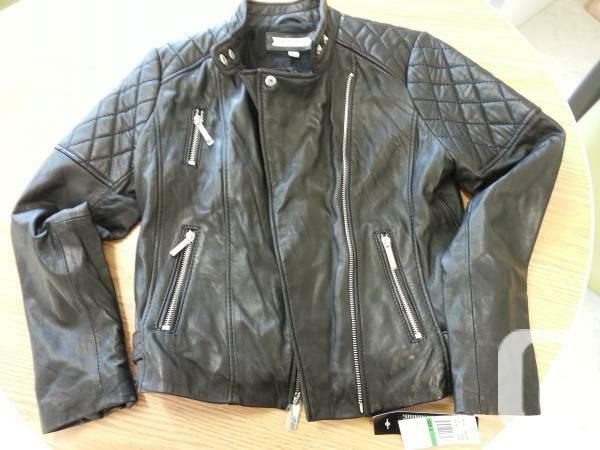 -Shell: 100 % leather-made; Physical body Cellular lining: 100 % cotton; Sleeve Lining: 100 % polyester; Style # 324602901. Located at Gerrard and Broadview.